Parlophone and Capitol Records’ maddeningly frustrating policy of pressing two different versions of Beatles records continued with Revolver, which came out in the U.K. on August 5, 1966 and three days later in America. The British version had 14 tracks, while Capitol’s U.S. version had just 11 (“And Your Bird Can Sing,” “Doctor Robert” and “I’m Only Sleeping” appeared on the earlier Yesterday And Today). Nevertheless, Revolver is a remarkable album that completes the Beatles’ transformation in lyrics, sounds and subjects begun with 1965’s Rubber Soul and sets up the magnificent Sgt. Pepper’s that followed in June 1967. The album largely eschews the love themes that dominated all previous Beatles’ albums and offers a broad array of sounds and subjects, from the goofy “Yellow Submarine” to the lonely, McCartney-and strings-only ballad “Eleanor Rigby” to the sunny “And Your Bird Can Sing” to the trippy “Tomorrow Never Knows.” Beatles fans ate it up, regardless of which version they bought, as both hit #1 on their respective charts on either side of the Atlantic in the late summer of 1966. 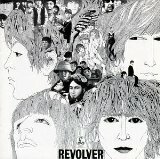 Revolver is available for purchase as a CD or individual mp3 files on Amazon but is not (frustratingly) available on iTunes. The Beatles have two playlists (First Set and Take Two) in Dr. Rock’s Playlist Vault.